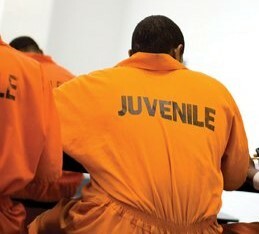 LOS ANGELES – The Los Angeles County Board of Supervisors voted Tuesday to create a comprehensive plan to divert young offenders from the juvenile justice system and offer them programs and services to get their lives back on track. 9 comments for "L.A. County votes to keep kids out of juvenile halls"
Let’s reduce law enforcement jobs,high paid baby sitters,who will lie,cheat,withhold info,shoot themselves before getting out of there cars,la Times reported in August 2014. What a joke and I’ll vote to screw this great state in two days. All bonds yes,and anything i think is stupid and will screw the state,yes. I vote to keep them in juvenile halls. I wonder what percentage of the offenders are from single parent homes. Why are we surprised when 12 year olds kill? They don’t know any better. Is it more acceptable when 30, 40, 50 and older adults kill? I mean, they should know better, Right? We are so used to adults doing horrible things that’s it’s almost normal and oddly tolerable. But, it’s unthinkable that a child does something cruel as though they should have more sense than the grownups. Consider that for a moment. We live in an upside-down world. Don’t get me wrong. It’s unacceptable for anyone to kill other than self-defense. This what I love to see! Diverting young offenders from the juvenile justice system, and offering programs and services to get their lives back on track. Person who uses nonsense terms from the right wing echo chamber as if they have actual meaning, soft on brains. Well maybe next house the gets robbed will be YOURS. Since whatever nonsensical post I was responding to has been removed I don’t really know what it was about. That makes it really hard to figure what you are blathering about Ron. Was your house “robbed”?